Lynn works as a Transformational Coach with an NLP background. She is also a professional sculptor of over 30 years. 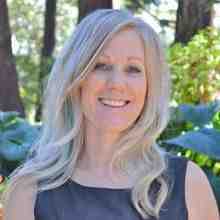 Lynn skillfully integrates the highly effective complementary healing modalities of Havening Techniques® and Emotional Freedom Techniques to help her clients experience rapid relief from stress, trauma, emotional and physical pain. This highly effective set of tools allow her to achieve astounding results, similar to when she is sculpting and often within a very short period of time. Lynn empowers her clients to release or transform anything that does not belong or add to their work of art. Like the sculptor Michelangelo, she encourages her clients to connect with their "Angel in the Marble" and to gently set them free. To schedule an in person appointment, choose from two locations: VICTORIA or SALT SPRING ISLAND British Columbia. "Havening is like CPR for the Soul"
Lynn is proud to have hosted two very successful Havening Techniques training to date in Vancouver, British Columbia. The first in September 2016 and the second in October 2017. A personal account of how effective havening was in finding a peaceful place when given a serious medical diagnosis. "Working with Lynn is an absolute joy, even when we are working on something that may not be considered joyful! ... Perhaps especially in those times! Lynn always creates a welcoming, warm, safe and loving space where I feel completely free to "come as I am" no matter what that is for me at the time. She has been instrumental in my process of self discovery, learning to fully embrace life, to recognize my gifts and allowing myself to let them begin to shine through. We have worked together mainly using EFT, Matrix Reimprinting and Havening Techniques, but Lynn also draws upon all of her experience, training, skills and knowledge; intuitively and expertly weaving them into our sessions. She has been a trusted guide, assisting me as I discover and integrate new levels of understanding and perspective on my journey of transformation. Lynn is a kind, compassionate, intuitive and truly gifted practitioner and person. I would not hesitate to recommend her to others." "Lynn is gentle, deeply insightful, and trusting. She begins as a gifted sculptor. You can see it and feel her energy in the way she is able to release the essence of the stone with which she works. Likewise, she uses her keen intuitive senses and healing skills to help her clients discover inner essence and strength. Her intuition led her to create a questioning process called Heart Q—gleaning wisdom by listening to the heart. This, together with her healing skills, help clients work through difficult or painful situations. Clients come to her agitated with worry or stress. But with a combination of Heart Q and healing skills, they leave feeling more grounded, clearer about actions to take, and empowered to face the challenges ahead. She is a masterful coach and healer—a soul-deep person who helps to bring calm and peace to our sometimes fractured world." "I have had a number of opportunities and the great pleasure to be a client with Lynn over the last year. What I have so enjoyed is the compassionate and non-judgemental environment she has provided in the sessions. This made it feel very safe for me to be vulnerable and share - allowing me to work on deeply rooted and intimate issues. I also so appreciated ALL of the tools and techniques she has in her wheelhouse - I was privileged to experience her skills as a Life Coach, and an EFT Practitioner and a Havening Techniques Practitioner. She is good at what she does! And ultimately of the greatest significance was that the work I did with Lynn has helped me - I have connected more to my truer self and have found more ease and happiness: it is so nice to feel better. I can confidently recommend Lynn's services: she facilitated a gentle way to big healing for me." "I approached Lynn Demers because I was looking to change behaviours and thought patterns I’ve held for my most of my life which do not support me and are preventing me from moving on with my life. Lynn helped me using Havening Techniques® . Through the process of Havening I’ve been able to release the grip my past has had on my present. I was able to revisit stressful life events, to release the energetic impact and to reframe them with compassion and positivity. I would recommend Lynn and the Havening Techniques to anyone who is looking to change their life and experience from what they currently have to what they could only wish for. This work easily and quickly moved me from who I was to who I want to be with ease." Lynn came into my life at a time when I was desperately in need of a healing transformation. Her gentle kindness is surpassed only by her skill. Know that you can make the changes you need to make and that she will be present to guide the process. Fear and anxiety were preventing me from moving forward both personally and professionally and through the work that we did together I was able to leave the negative patterns behind. I am so grateful to Lynn for the wonderful work that she does!